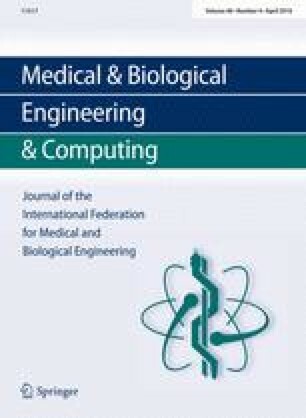 To maintain the hemodynamic stability of patient undergoing hemodialysis, this article proposes a novel model-based control methodology to regulate the changes in relative blood volume (RBV) and percentage change in heart rate (∆HR(%)) during hemodialysis by adjusting the ultrafiltration rate (UFR). The control algorithm uses model predictive control (MPC) to account for system variability and to explicitly handle the constraints on UFR. Linear state-space system with time-varying parameters is introduced to model the RBV and ∆HR. MPC was used to track the change in RBV and ∆HR to pre-defined reference trajectories. At each sampling instant, the system parameters are updated to get the best fitting into the parameterized model. Simulation results demonstrate that the system is able to regulate RBV and ∆HR to the reference by adjusting UFR while keeping it within practically realizable bounds. The results show that adjusting UFR may improve the stability of patient during dialysis when compared to conventional hemodialysis with constant UFR. We wish to thank the staff at the Renal Dialysis Unit, Prince of Wales Hospital, Sydney for their permission to conduct this research at their unit and assistance with the collection of data.